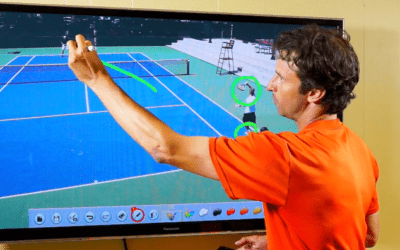 So, you want to know how to play against a big forehand, and win? Well, this article will show you how. Playing against someone who has a big forehand can be stressful, as each wrong move from your side of the net can hurt you, big time. Usually, players that love hitting their forehands like to run around balls, and rip it inside out from the backhand corner. 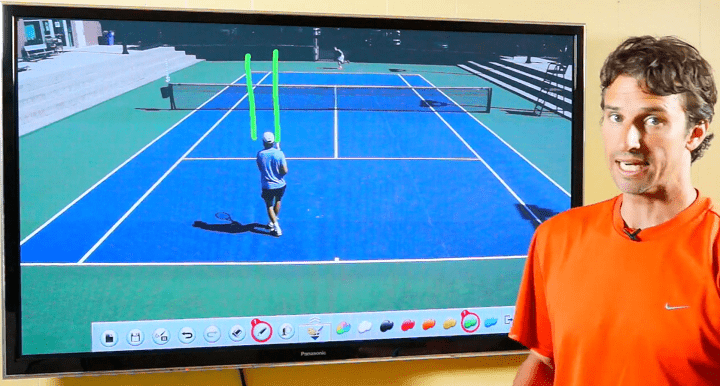 Luckily, there are strategies that you can effectively use to beat players that have a big forehand. The first thing you can do is to hit a softer rally ball with your backhand that lands shorter inside the court with more angle. If you can get the ball over to your opponent’s backhand by suing the short angle rally ball, you’ll force your opponent to beat you with their weaker shot. When you angle a ball with a crosscourt backhand it’s almost impossible for your opponent to run around it to hit a forehand. You are effectively taking their forehand out of play. This is exactly what you want. Keep the ball angled crosscourt until you see the opportunity to change direction and hit the ball down the line. To keep the ball away from your opponent’s forehand, you have to avoid hitting the ball down the middle or that wide that ball will get attacked. Playing high balls to your opponent’s backhand will frustrate the big forehand players as well. Focus on playing the ball high and deep crosscourt. Because if you can hit a deep, high ball that lands close to the baseline, your opponent won’t be able to run around their backhand. The goal is to starve the forehand as much as possible. Be patient and wait until you’re balanced to hit the ball down the line with your backhand. 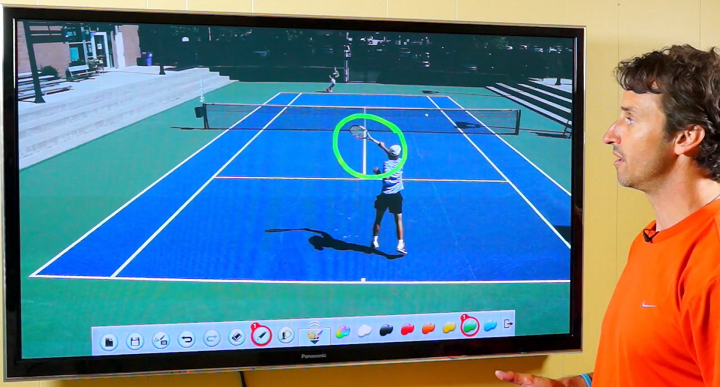 Alternatively, you can play your own forehand inside in. When using this strategy, there’s a good chance your opponent might lose patience and go for too much. This is exactly what you want. Remember that hitting the high ball gets out of your opponent’s strike zone. This makes it more difficult to hit the ball with as much power, even if they can run around their backhand to hit a forehand. 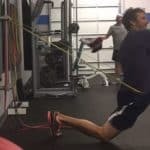 Lure the opponent to go for an aggressive down the line. Attacking the forehand strength early on in the point allows you to attack the weakness easier. One of the best strategies you can use is to take away time your opponent’s time on the forehand by hitting deep, flat shots. When you can, rush your opponent’s forehand, and get them to mishit, or hit short. Then you can attack on the next ball. There’s really nothing more satisfying than hitting a hard ball to someone’s strength, and seeing that big forehand break down. 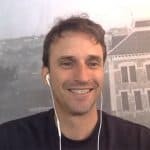 A lethal combo would be for you to play hard, flat and deep to the forehand one time, and then peppering the opponent with short backhand angle shots. 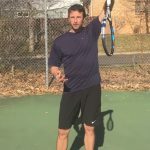 Technique wise, if you’re looking to hit a flat deep ball, consider finishing with your forehand or backhand with plenty of extension. In other words, finish with the racquet high and in front of the body to hit those penetrating shots. And now, onto the final tip on how to play against a big forehand. 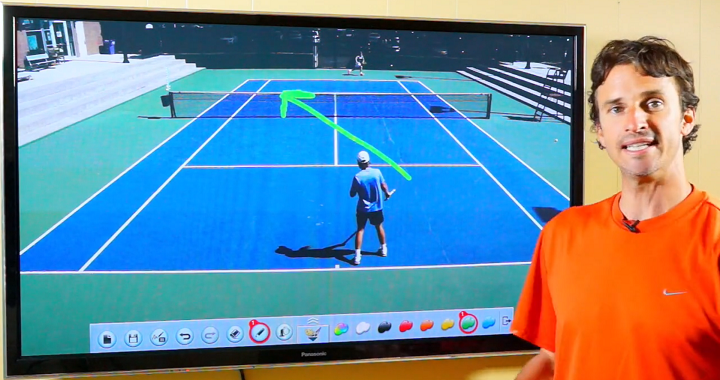 Here’s an another strategy to use against a big forehand player. Focus on serving to the backhand, not allowing your opponent to hit the forehands. Essentially, you want as many balls as a possible to the weaker backhand, when you know their huge forehand can hurt you. Force your opponent to to beat you with the backhand. Serve most balls to the backhand. Then continue to attack there until you have an opening to rush their strength, the forehand. When you use this strategy, where most balls are hit to the backhand side, an occasional shot to the forehand can be a big surprise. 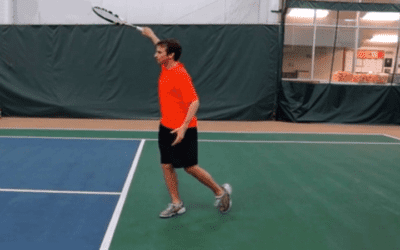 Don’t let the big forehand player beat you with forehands. 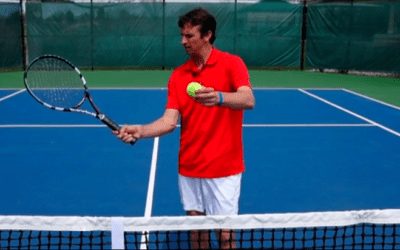 Use the above tips on how to play against a big forehand, to put pressure on your opponent’s backhand and force him to beat you with his weaker shot. 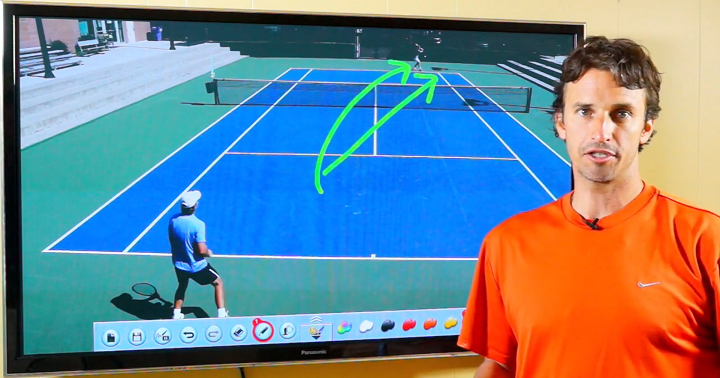 Remember to direct more balls towards backhand side with high balls and angle. Take time away by rushing the forehand, and serve to the backhand side more often.